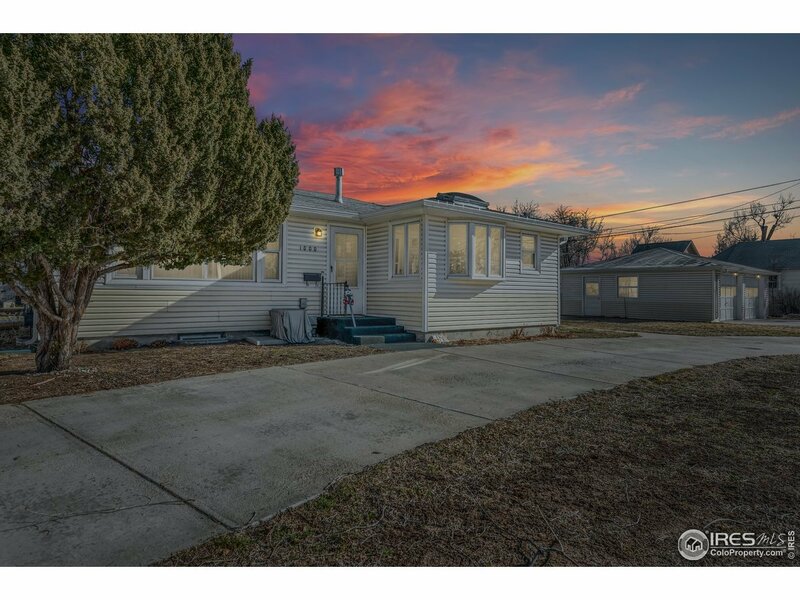 Beautifully updated 4 bed, 2 bath ranch in Fort Lupton! Large corner lot w/ mature trees, detached oversized 2 car garage & dog run. Move-in ready! New: Carpet, bathroom vanities, subway tile, interior paint, main sewer line & renovated kitchen. Upgraded kitchen features new granite counters, new wood laminate floors, new dishwasher, new hardware, a skylight & a pantry. Spacious outdoor area. Tons of storage. Great location close to food, shopping & parks.